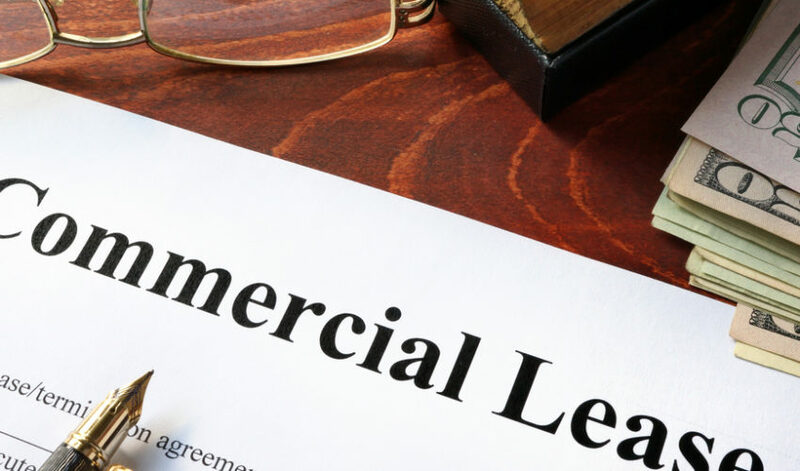 There’s a lot to think about when signing a commercial lease, the principal terms of which are set out in a document known as the ‘Heads of Terms’. These terms are used to assist the solicitors in negotiating the lease, but it’s wise to get to grips with them yourself to avoid any disagreements or nasty surprises later down the line. Before committing, make sure the lease term meets your commercial interests. New businesses, for example, should consider whether entering into a long lease is beneficial, bearing in mind growth and cash flow uncertainties. If works are required to fit out the premises and your business won’t be up and running straight away, you should also consider asking for a rent-free period. It’s also sensible to make sure that you have security of tenure under the lease, which means you will have a right to renew the lease upon expiry on the same terms as the existing lease (subject to negotiations). This is important because, if the lease is ‘contracted out’, the tenant must vacate the premises on its expiry. In this case, not only would your operations be affected; you would also not have any right to compensation from the landlord. As well as protecting your security of tenure, you should also consider a break clause, which allows a tenant to terminate the lease prior to its expiry. This can offer invaluable flexibility, but watch out for conditions that the landlord may attempt to impose. These could include not allowing a tenant to exercise the break if the rent or other money payable under the lease have not been paid in full. It is therefore important to carefully negotiate any condition, to ensure you’re able to exercise the break clause if you need to. Are you sure you understand the actual amount of rent you will have to pay? This may sound obvious, but often the annual rent is simply the basic rent, which can be subject to VAT. In addition, you may have to pay or contribute towards building insurance, service charges and your own utility charges, so clarify this before you agree Heads of Terms. If you will be occupying part of a building, it’s likely that a service charge will be applicable. Landlords require a fair contribution towards the cost of repairing and maintaining the building. However, if the proposed service charge looks a little steep, consider requesting details of any planned works, as well as a cap on this fee. It’s also prudent to request copies of previous service charge accounts, to give you an idea of the likely costs. Often, landlords will require a rent review during the lease term to be upward only, as this understandably ensures that their rent increases over time. However, this can leave you vulnerable as a commercial tenant. For this reason, it’s wise to respond by either agreeing a shorter term, without a rent review, so it can guarantee the rent payable at the outset, or agreeing a cap on any increase in the rent. That way, you’ll either know the rent payable during the term or at least have a maximum figure to work with. As part of your lease, the landlord will typically include a repairing obligation, which requires you to put and keep the premises in good repair and condition. To avoid any disputes later down the line, consider a limit on your repairing obligation by reference to a photographic schedule of condition. That way, you won’t have to leave the premises in any better condition than when you took occupation. Beyond general repairs and maintenance, it’s likely that you’ll want to make alterations to ensure your premises suit your business’ needs. However, bear in mind that a landlord may prohibit this unless consent is provided. They might even require you to enter into a licence for alterations. For this reason, it’s wise to insist that the landlord’s consent will not be required for the erection of demountable partitions. Finally, factor in the possibility of alienation. At some point in your lease term, you may find yourself seeking an assignment of your lease, or looking to underlet the premises. A landlord may permit you to assign or sublet the premises, but this will be subject to their consent. It’s natural that a landlord will wish to guard against this. As such, expect it to insist on certain conditions being satisfied, such as entering into an authorised guarantee agreement to cover any breach of covenant of the incoming tenant. The advice above is by no means exhaustive, but hopefully it’s given you a better idea of what to consider when negotiating your commercial lease. To protect your best interests when negotiating Heads of Terms, it’s essential to know what you’re entering into. Blackstone Solicitors’ commercial property specialists have a wealth of knowledge and experience in this regard. For further advice and assistance on commercial leases, please contact us on 0161 9290121 or email info@blackstonesolicitorsltd.co.uk. Alternatively, allow us to contact you by completing our online enquiry form we would be happy to answer any questions you may have.